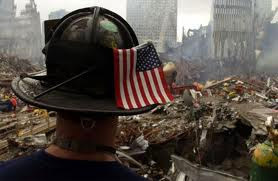 Today is the anniversary of one of the most horrible occurrences known to modern man - the terrorist attacks of September 11, 2001. Somehow it didn't feel right running our regular weekend programming features so in lieu of our caption contest results I've collected some images that for all intents and purposes have been ingrained in our collective conscience since then. We'll run the caption results tomorrow and split the post with the Sunday Funnies. 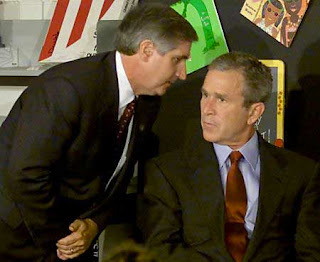 The event 9 years ago left a lasting impression on the United States. And it shocked it's neighbours to the south, indeed, it's allies around the world. 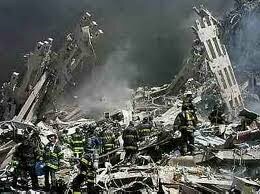 This weekend is a time to remember those who perished in the attacks on the World Trade Centre, the Pentagon and who crashed into a field in rural Pennsylvania, the result apparently of heroic passengers who overcame the terrorist-commandeered plane. 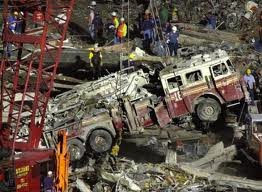 It's also a time to recall the role played by NYPD and fire department responders. They were heros, all. 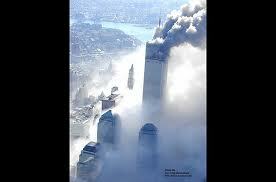 Remembering 9-11 is like remembering where you were when you heard that Kennedy was shot. Moments in history you can never forget. 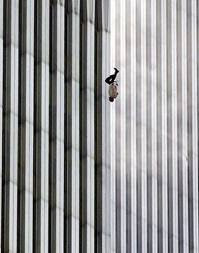 When the last picture is of bin Laden hanging then I'll close another chapter in that book. Until then...game on! CL: That about sums it up. Well said. Don: That surely would be an appropriate end to such a sad chapter in our history. Still, we'll never forget. Even after nine years, the emotions still stay close to the surface. An eloquent and thoughtful post, my friend! Great post, Dufe. It was a dark terrible day and one that we'll always remember. Quirks: It was a sad, sad day wasn't it. Leeuna: Thanks. I feel for the families who lost their loved ones. My husband's unit had a poster of the firefighters with the flag superimposed with soldiers with a caption of "We'll take it from here." I cried every time I looked at that. Those pictures still bring a lump to my throat. Nice tribute Noname. Linda: That's a great story. Quite moving. Nicky: Thanks. I know how you feel. 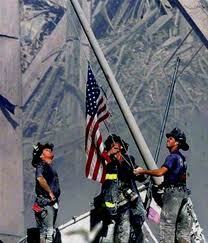 It was a horrible day I will never forget. 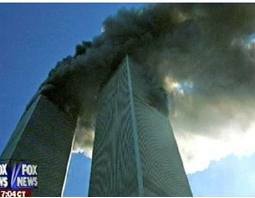 Thank you for this post so that no one forgets what happened to our country. NGID: It was indeed horrible. I recall being mesmerized by the TV images. And there was no answer to the question "why?". The images I chose are some I'll always think of.